Ross Engineering’s ASME tanks are custom built. Ross Engineering’s ASME tanks are custom built to serve a wide range of applications and processing requirements in virtually any industry. 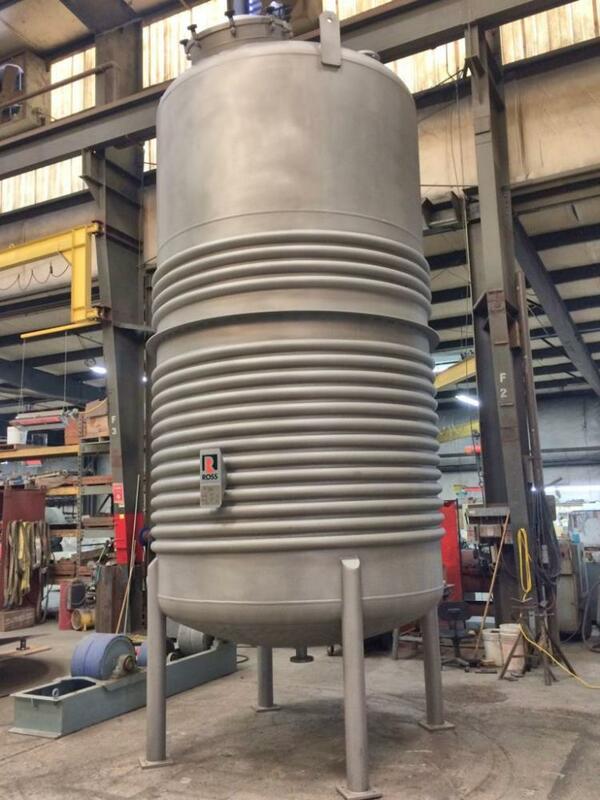 The pictured 5000-gal stainless steel tank is designed for full vacuum up to 10 psig internal pressure at 200ºF in accordance with ASME Code Section VIII, Division 1 latest edition. It includes various size flange connections and manways, a half pipe jacket on the sidewalls, and a dimpled jacket on the bottom head. Ross Engineering is a one-stop resource for ASME tank design, engineering, and fabrication. Capabilities include: storage tanks, pressure vessels, and reactors up to 100,000 gal or larger; carbon steel, stainless steel, aluminum, titanium, Monel, Hastelloy, and Inconel materials of construction; agitators and mixer controls; sheathing and insulation; sanitary design and finish; special coatings and tank liners; non-destructive testing.